After the olive trees have produced their flower, the olive itself begins to develop. At first, the olives are green and hard. Over time, as they slowly reach their ripe stage, they change their colour to a yellow-green, then to red-purple, and finally black. These changes in colour are followed by the changes in the composition within the olive itself. Olives that are not ripe have high levels of chlorophyll which is the cause of their green colour. During the ripening process the levels of chlorophyll decrease and increasing amounts of carotenoid develop. Oil yield is low when the olive is not ripe, and increases as the fruit matures. The oil, which is at first very bitter, also becomes sweeter at this stage. 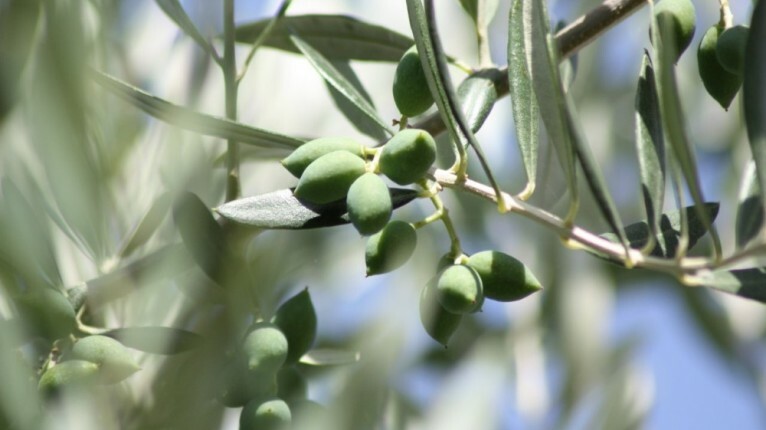 Furthermore, the process of ripening is influenced by other factors, for example those in more protected areas and those olives that are at the top of the tree will mature first. 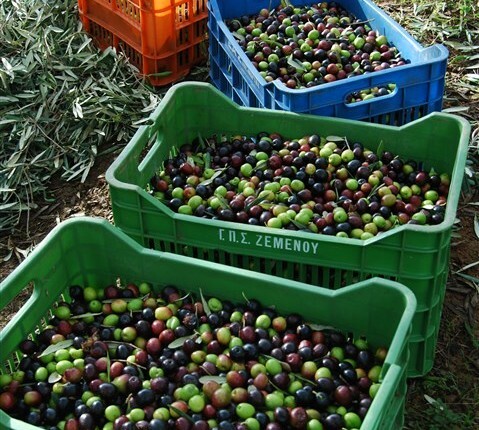 Most olive producers think that once the olives are starting to fall from the tree, the ideal harvesting window has passed and the resulting oil will be of inferior quality. 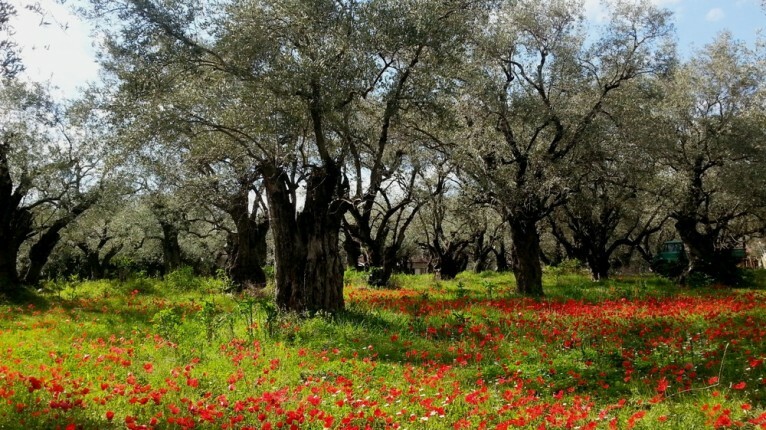 There does not seem to be a set ideal stage for the olive harvest to take place. When reaching a decision, the producer has to weigh up different aspects, such as shelf life (greatest in less ripe olives), yield and flavour. 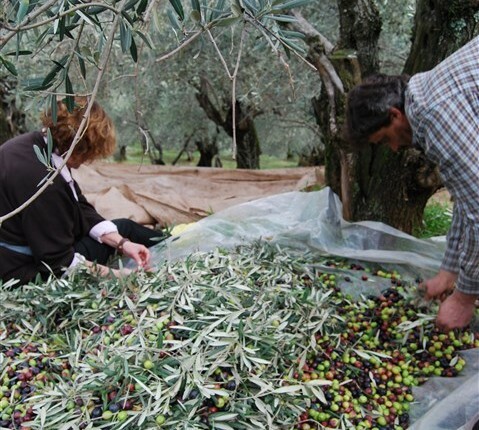 The traditional method of olive harvesting consists of dropping the ripe olives from the tree into nets on the ground, with large bamboo poles, or picking them one by one into baskets. Ladders are also utilized to reach the higher branches. 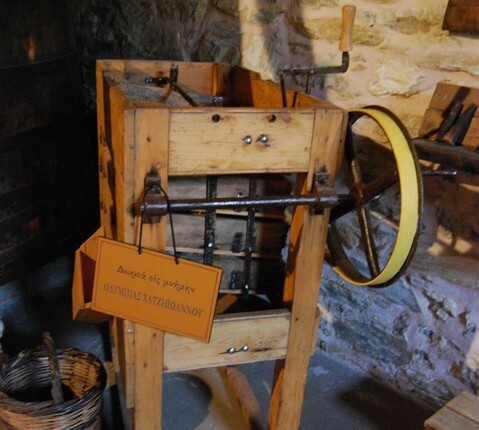 Specialized olive picking machines have in some cases replaced the traditional method of harvesting, although there are varying degrees of mechanism that can be used in the olive picking process. Some pickers use a long handled vibrating pole to remove the olives from the tree. The olives are then gathered in nets which have been placed under the tree. The next stage in this process utilises a bar which is fitted to the back of a tractor. This vibrates the tree itself and before the process begins, the machine spreads a net around the tree base to collect the falling olives.